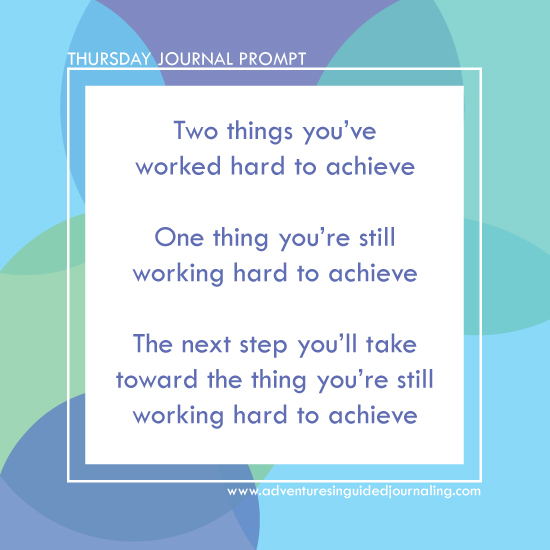 Today's journal prompt is all about the things you're working hard to achieve. I'll add my answers in the comments. Join me! Two things I've worked hard to achieve: (1) this website right here! (2) a family schedule that does its best to balance the needs of four unique people and leave room for new interests and new opportunities (it's not perfect by any stretch, but it's something we've worked really hard on for a long time and works pretty well for us most of the time). One thing I'm still working hard to achieve: Expanding my journal work. The next step I'll take in that direction: Workshops!